For years, the Panthers mid-April competition has seen them travel to U.C. 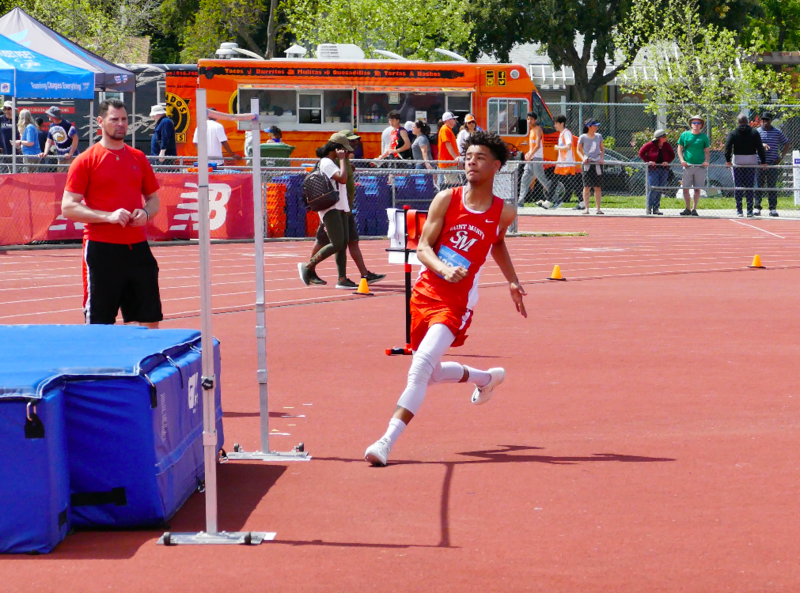 Davis for competition against Sac-Joaquin section schools at the Woody Wilson Invitational. This year, however, the meet at U.C. Davis was canceled… leaving the Panthers searching for a meet to fill the hole in the schedule. The answer, as it turned out, was a very competitive Halden Invitational held on the campus of Davis High School… less than a mile from the U.C. Davis campus. 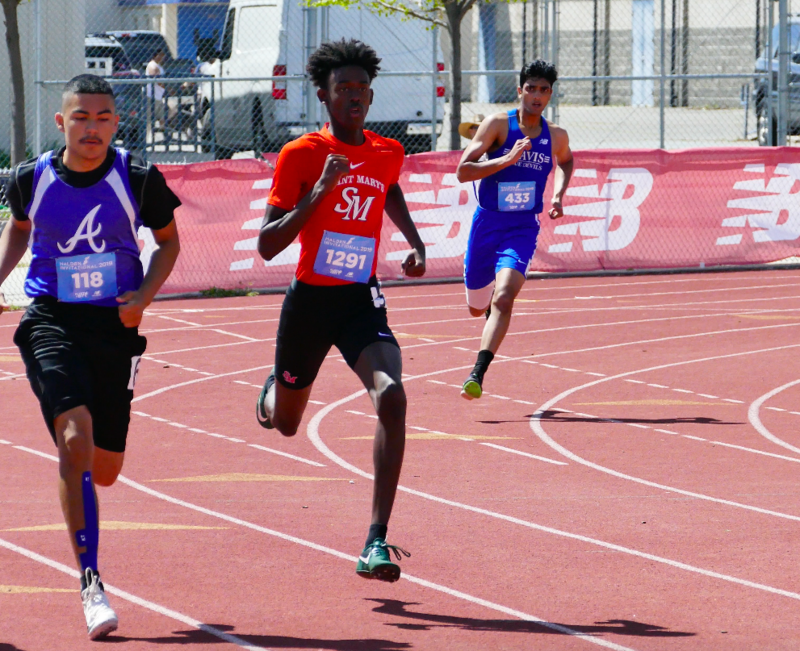 The meet featured many top teams and plenty of high level talent from around the Sac-Joaquin section which seemed to bring out the best in the Panthers. Indeed, led by senior Sophia Alexander’s double sprint win in the 100 and 200, the Panthers claimed 7 wins on the day… numerous other top 3 finishes… and a bevy of personal and seasonal bests. 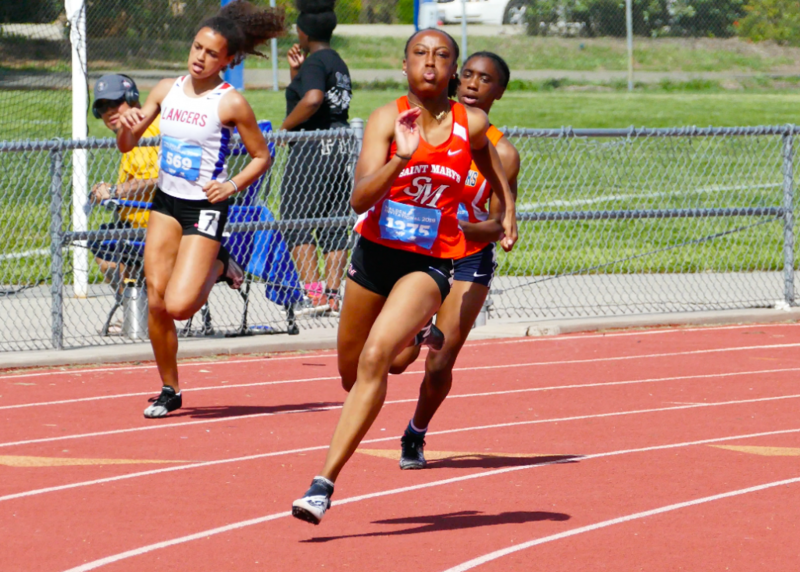 Sophia, whose emerged as one of the top sprinters in all of Northern California, recorded yet another pair of sprint wins… winning the 100 in 12.27 and the 200 in a PR 24.87. She later anchored the girls 4 x 400 team to a come-from-behind 4:01 win.. splitting 56.8 to cement a fine day for the team captain. The frosh-soph group of Maddie Dwyer, Najah Wiliams, and Jordan Cornet also had an outstanding day. Maddie won the 200 in a PR 26.66.. with Najah placing 2nd in 27.02. Earlier, teammate Jordan Cornet won the open 400 in 60.4… with Maddie right behind in 60.55 and Najah a close 3rd in 61.08. 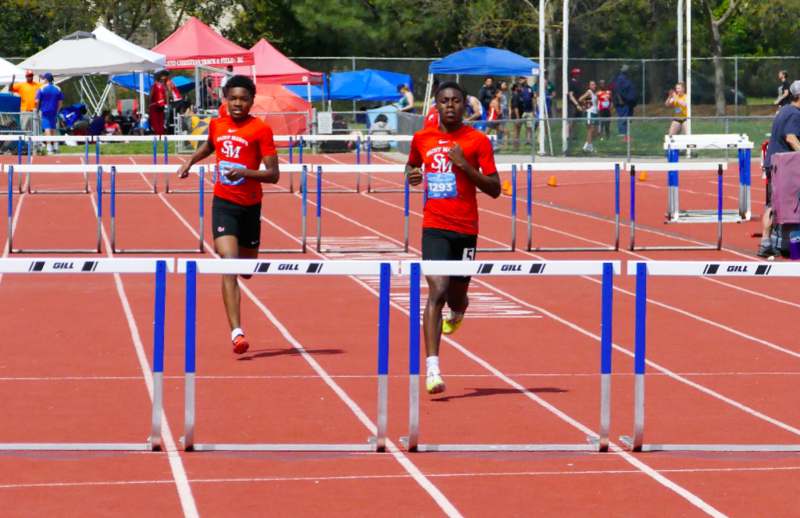 The hurdlers also had a solid day. 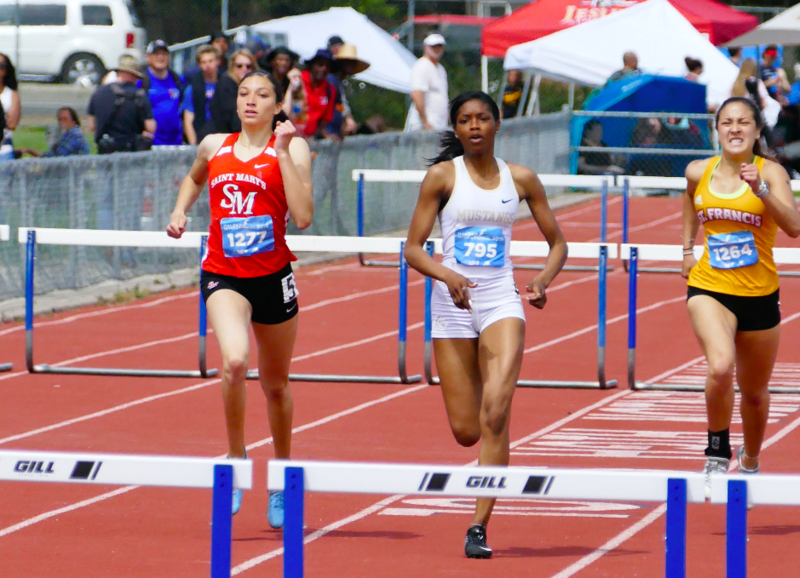 Junior Sofia Bailey placed 5th in the 100 hurdles… cracking the 16 second barrier and winning her heat in 15.86. 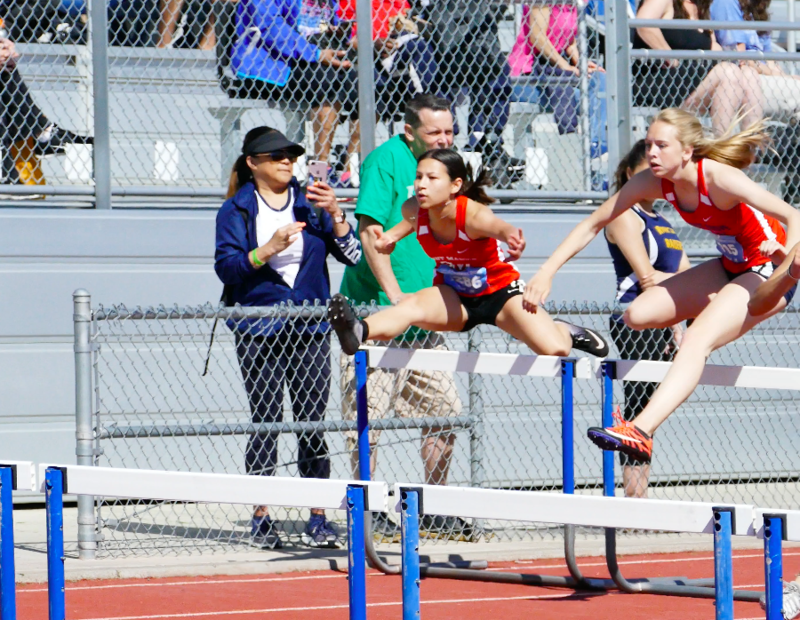 She later placed 2nd in the 300 hurdles, running 46.37 over the 7 barrier race. Fellow junior Amelia Tremain also cracked the 16 second barrier for the 1st time, running a lifetime best 15.94 in the 100 hurdles. A pair of sophomore throwers, Erika Marbley and Alyssa Watts, also made some noise on Saturday. Erika nearly won the F/S girls shot put, falling just a few inches short whileplacing 2nd at 28’7”. Alyssa finished 5th in the shot and 6th in the discus, throwing seasonal bests in each event. A quartet of boys enjoyed considerable success on the track on Saturday as well. 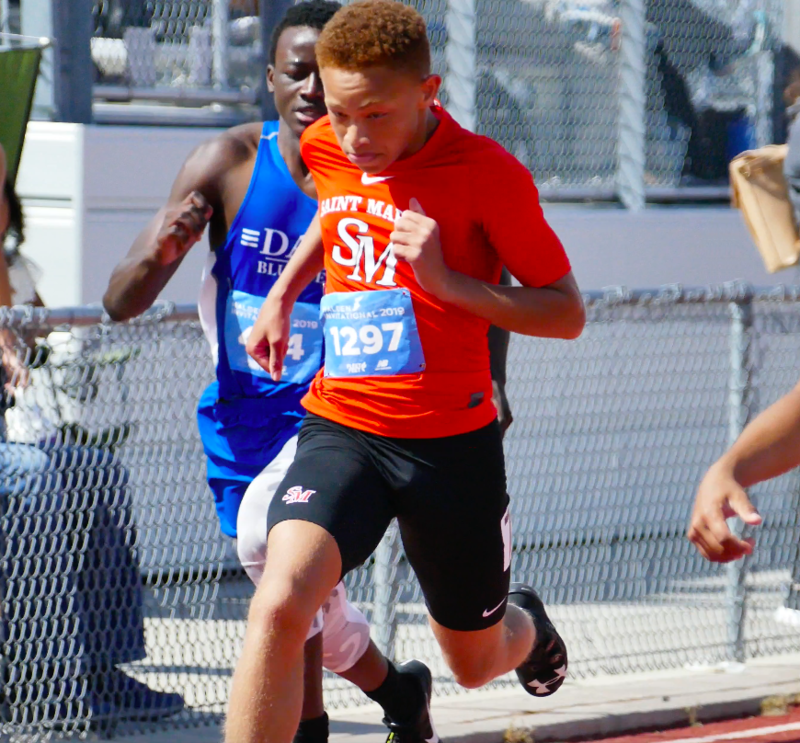 Sophomore Ka’Lib Copes (KJ for short) finished 4th in the varsity boys 400… coming oh-so-close to breaking :50 seconds.. finishing in 50.10. Junior Jordan Walton and sophomore Brandon Bazile both recorded lifetime bests in their specialties. Jordan ran a PR 54.14 in the 400 before running a second 24.57 PR in the 200 a few hours later. Brandon’s heat-winning 24.54 was also a personal best for him. Finally, the coach Rogers’ jumpers were quite good on Saturday. Junior Lydia Howard scored her first-ever invitational win, leaping 17’8” to win the girls varsity long jump. Earlier, she recorded a 35’5” bound in the triple jump to finish second. 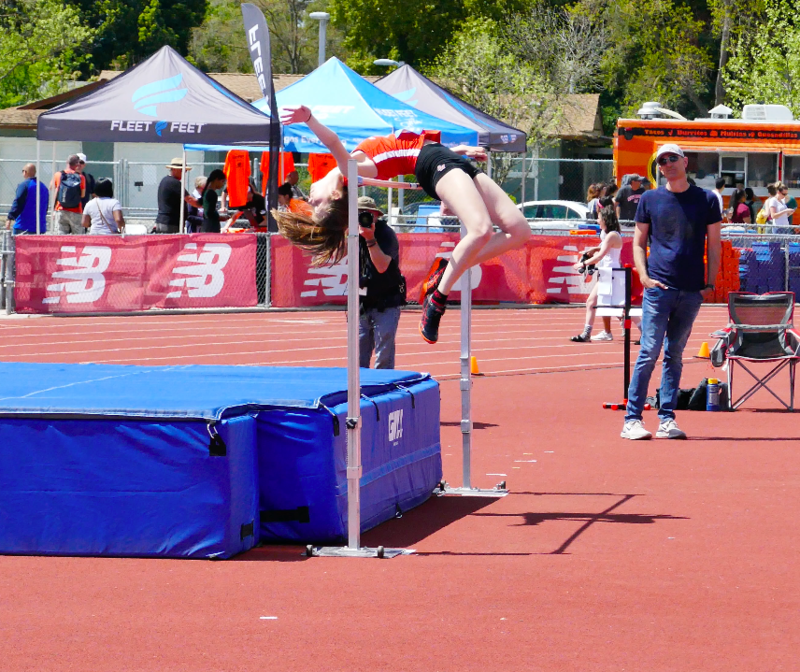 Teammate Simone Rogers, whose ranked amongst the NCS leaders in the high jump all season, placed 4th on Saturday in the girls varsity high jump… clearing a lifetime best 5’3”. 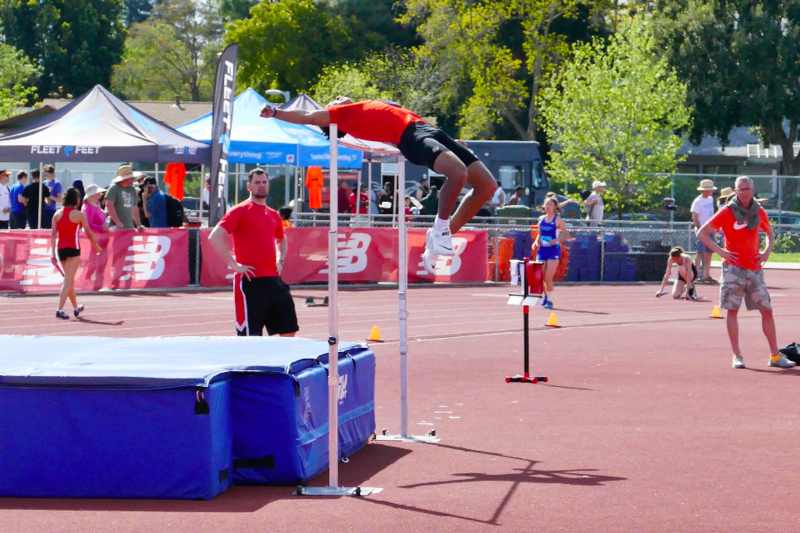 High jump teammates Zach Deering-Haddix and Amir Cross also had impressive jumps on Saturday. Zach placed 2nd in the varsity boys competition, equalling his PR by clearing 6’3”… with “very close” attempts at 6’5” according to Coach Rogers. Amir, sporting brand new high jump spikes, placed 2nd in the boys F/S division, making 5’11” on his first try. 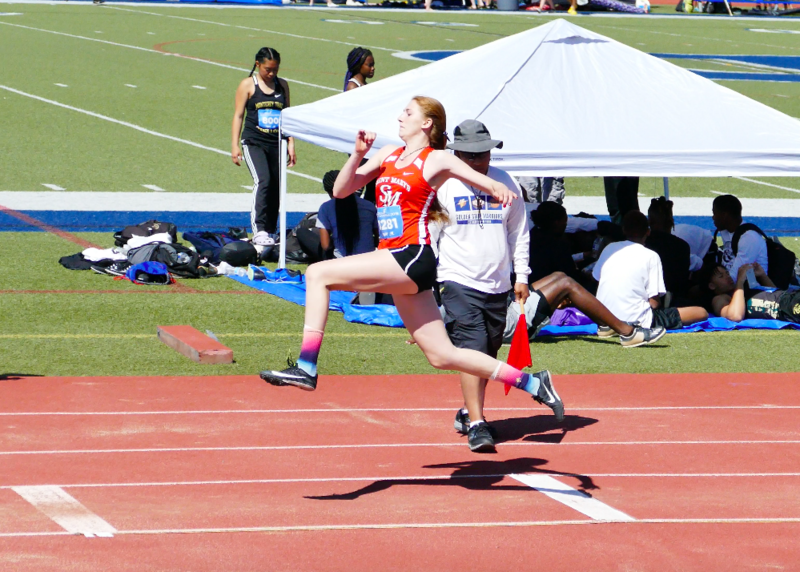 Finally, freshman jumper Julia Alexander continued her tremendous 1st year, winning the triple jump with a 2nd round effort of 34’2.5”.